Quickly fitted some paddle shift extensions before going into work. Thought I’d try them for the sake of £15. I’ll see what they feel like in the morning on my way home and report back if anyone’s interested. Hambee1234, Spaceman_RS3 and NicoS85 like this. How is it working at MTC? yes - let us know as the ones on the S4 are like toys - seriously i have nicer ones on a pc racing wheel. Agreed the standard ones are poor for an S car, BMW 320d ones are better!!! They look good for £15 where can I get some? Haha, your geography is good! Well spotted. So I had a good play with them on the way home, much better with them on. It was actually quite nice driving in manual mode. The bottom of the left hand one is about 20mm from the Cruise control stalk so it gets in the way a little if you want to push the stalk away from you. I’d say if you interested in driving in manual mode then it’s worth it for the sake of £15. I might’ve look at making some carbon ones, but it would be the only carbon thing on my car then so I’d have to do the rest of the car! I got these ones https://rover.ebay.com/rover/0/0/0?mpre=https://www.ebay.co.uk/ulk/itm/332731373093 they come in different colours too. I fitted the RS paddles to our S3 and it made a BIG difference. The money side is a different story though!! Yeah I suppose it is quite obvious, not many buildings look like that! I must admit it is an impressive building to work in. To be honest I liked Ron, I spoke to him couple of times in the odd meeting and at the track. It’s the little puppet yes men he had below him that were the issue. Well he had it right in f1 for quite some time and it was a shame he was ousted in the way he was. Some are now baying for his return to rid McLaren of those coporate business men. I think he is probably chuckling to himself at Red Bull's decision to take the Honda engine as well. Still he left in style throwing a farewell party in the Albert Hall which he paid for himself.. Yes, it would have been cheaper to buy a slice of McLaren Technology. 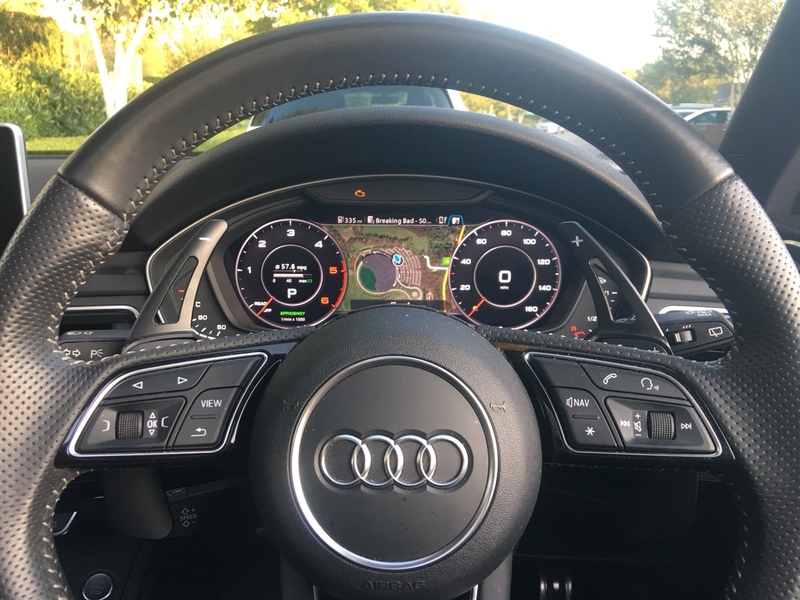 I researched for the S4 but found out one had to remove the steering wheel as the RS version was a totally different set-up. Dealer instal. Pass, thank you. I've just ordered a pair of these too - did you use tape or the screws to attach? I'm just wondering which bit the screws go into and whether they would damage the shifter underneath? I used the tape, as the paddles are plastic and the screws would damage them. The grub screws that come with mine were silver and the extensions were black. I had some shorter black grub screws at work so I put them in just to fill the screw holes. I didn’t tighten them up. 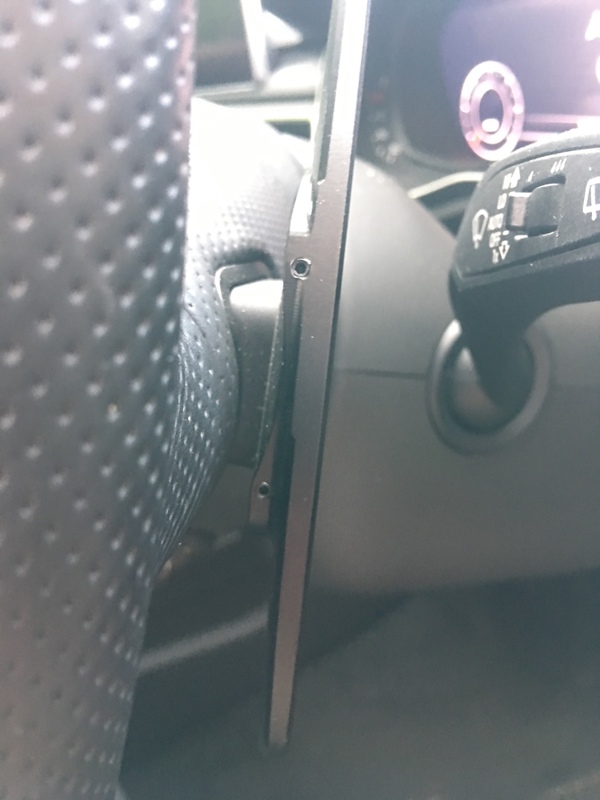 Does anyone know if R8 paddles fit? According to helpful Audi they only fit a R8 :-/ tad expensive but lovely looking things.